Hello! We are the Friends of Dalby Forest (Registered Charity Number 1125882). 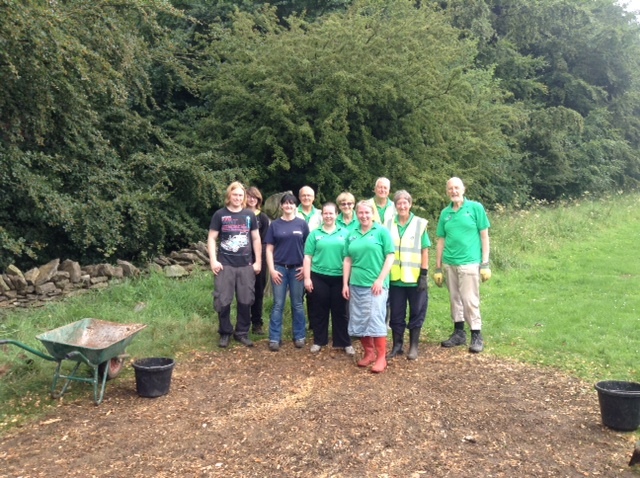 We are a group of volunteers who meet regularly in Dalby Forest (North Yorkshire, UK) to enhance the facilities and settings for all visitors, on a wide range of Forestry Commission-approved projects. Dalby Forest is situated within the beautiful North York Moors National Park, managed by the Forestry Commission (who are responsible for protecting and promoting the sustainable management of Dalby). Come join us on one of our regular volunteer days, bring the kids, bring the dogs and get some fresh Dalby air! The group is open to everyone. We meet in the forest every 2nd Sunday of the month, from 9am onwards, either for the whole morning or as much time as you can spare. If you planning to come for the first time, please fill in a VOLUNTEER REGISTRATION FORM Forms need to be signed so just bring them along on your first day. New volunteers are always welcome and regular volunteers receive a free annual pass to Dalby. Children are welcome on tasks but must be accompanied by an adult. We do things like clearing paths, planting and generally maintaining areas of the Forest like the play areas, bird hides and forest gardens. We are growing as a volunteer organisation and we are always keen to welcome new volunteers to ensure that we better represent all the varied interests of the thousands who visit the forest every year. Keep in touch with us by following us on Twitter (@DalbyFriends), by joining our Facebook group or email webmaster@friendsofdalbyforest.org.uk to be added to our email list (which we use to notify volunteers of upcoming tasks and events). If you want to write, you can contact us via The Friends of Dalby Forest, c/o Forestry Commission, Outgang Road, Pickering, YO18 7EL, UK.